Hi guys! 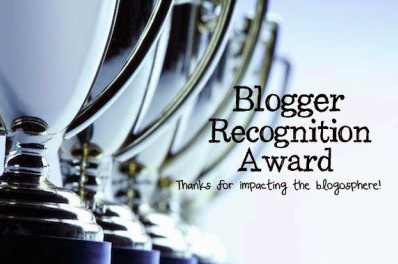 We have been ultra busy lately, and so there has been very little time for the blogging world. We finally got a long weekend, so we are back with a post from the Little Miss! 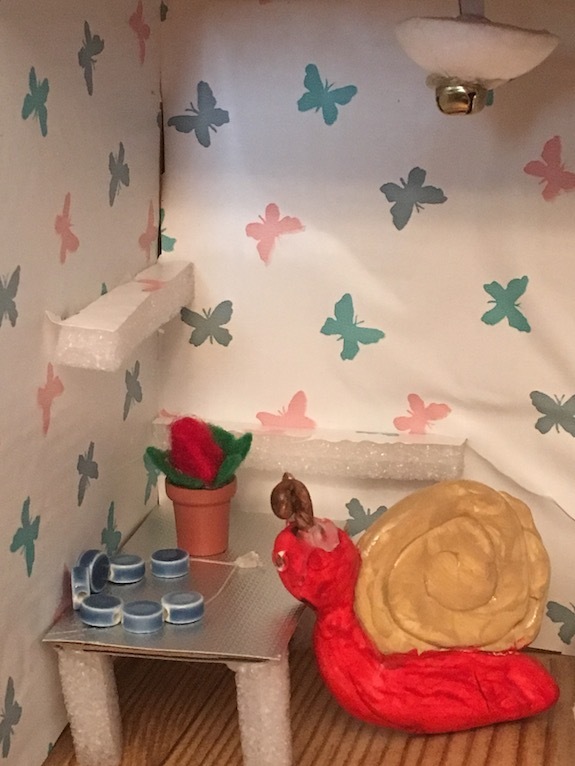 She wanted to show you the cute little house that she made for her snail creation. She also wanted to let you know that this is the 200th post on our blog!! Yay!! 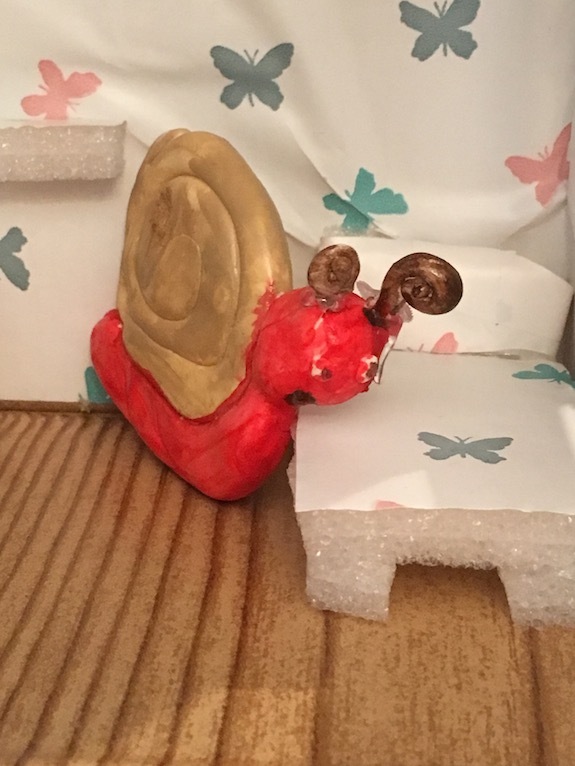 Here is the little snail that she made from Model Magic clay. 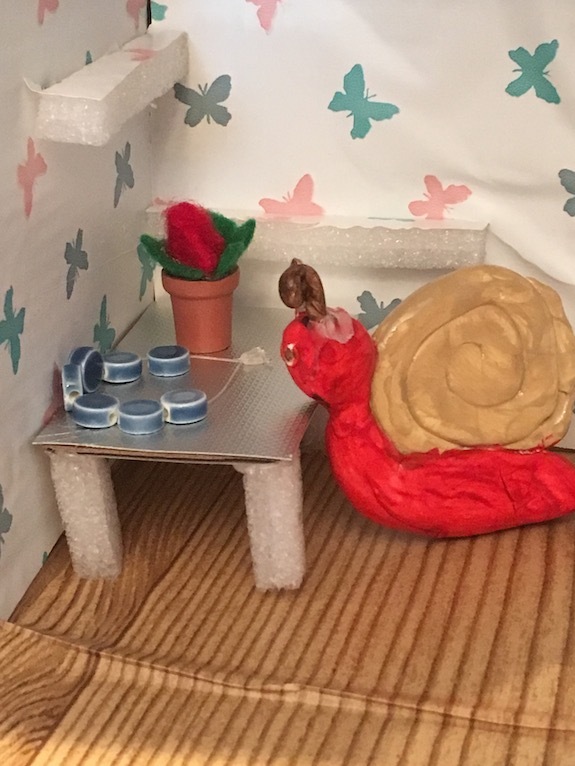 Once the snail was made, she decided that it needed a house. 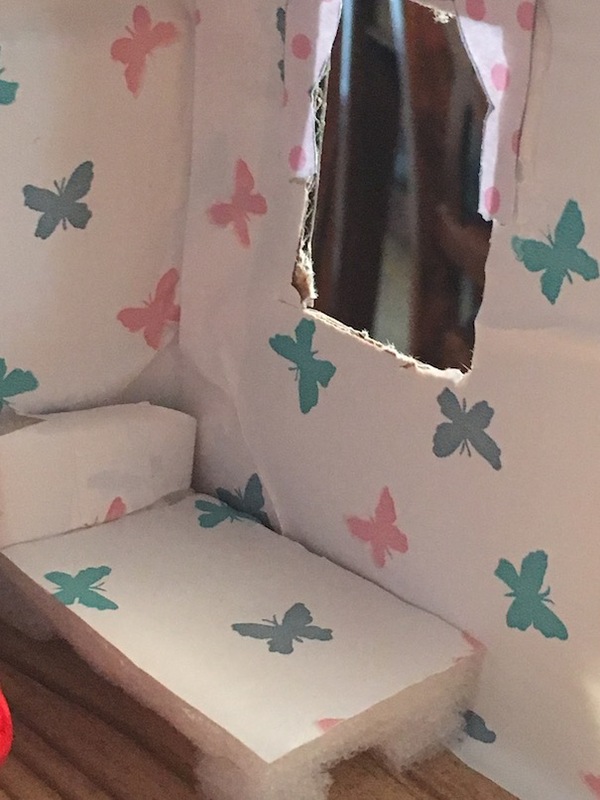 She used a little box, and covered the inside of it with contact paper. 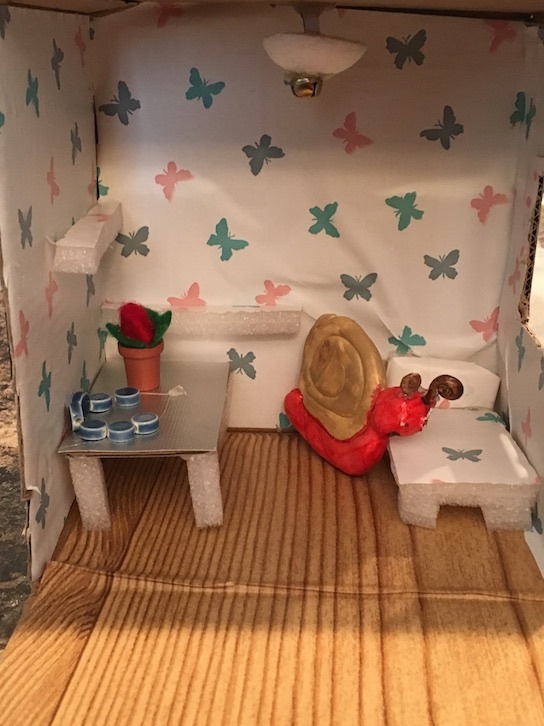 She made furnitures for the house out of cardboard and packaging foam. These little houses are so simple to make and can be used for mini dolls, LPS or whatever you like! 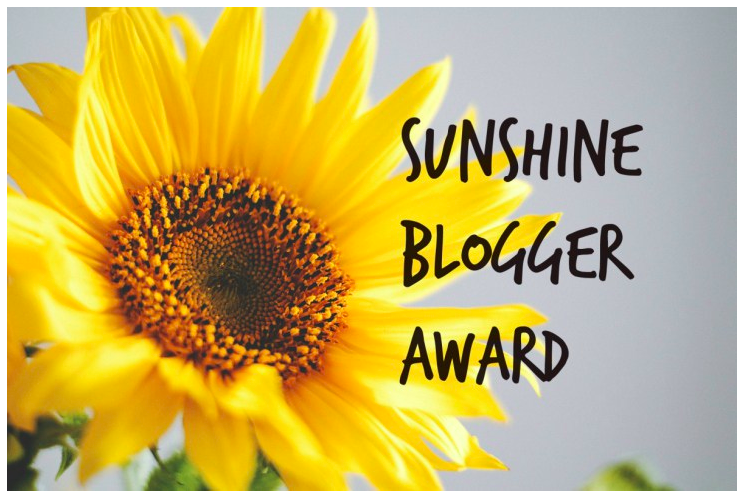 Happy 200th post on our blog!! We would like to thank all of our 480 followers! We love you guys so much, and are so grateful that you keep coming back to join us for all of our crafting fun! 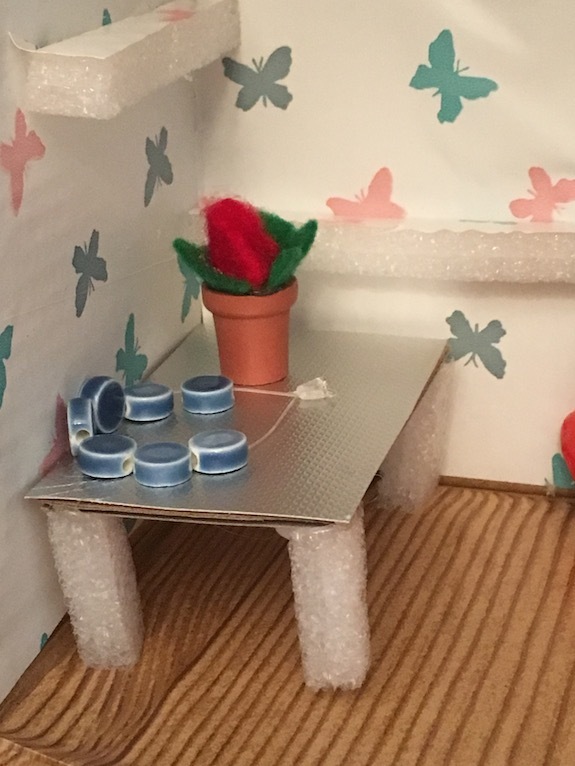 If you enjoy making LPS houses or other mini toy crafts check out all of the other Creations with Little Miss! 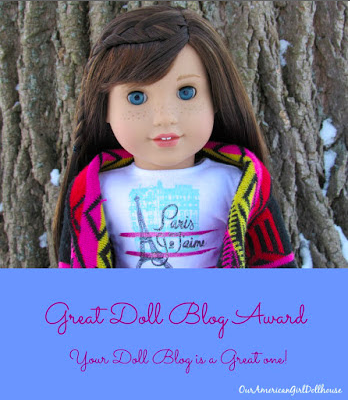 Next > DIY DOLL TV DINNERS!